← Star Watch: Which Metropolitan Division Players Will Make the Biggest Impact in 2015-16? NoVa Caps will be taking an in-depth look at the Washington Capitals goalies over the next few months. Follow-up posts will look at the evolution of the position, including changes in strategy, equipment, rules, techniques and trends that have occurred over the lifetime of the franchise. 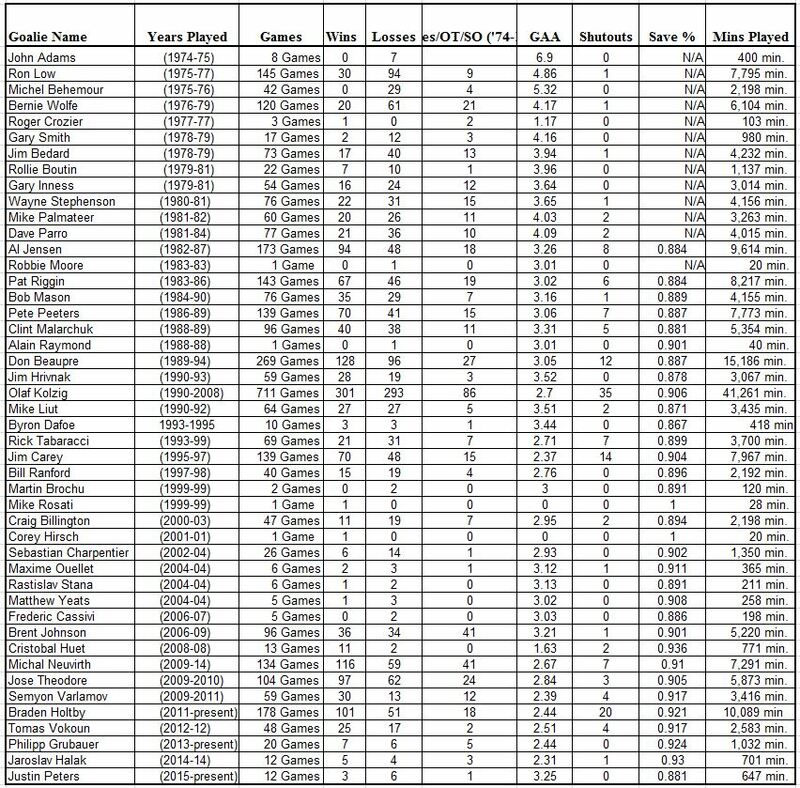 Our first post sets the stage, by providing an overarching look at all of the goalies who have ever played for the Washington Capitals, along with some of their basic stats. This entry was posted in Defense, History, Players and tagged Goalies. Bookmark the permalink.